Magnolia's Bakery is one of the famous resto for sweet treats and they are based in New York. 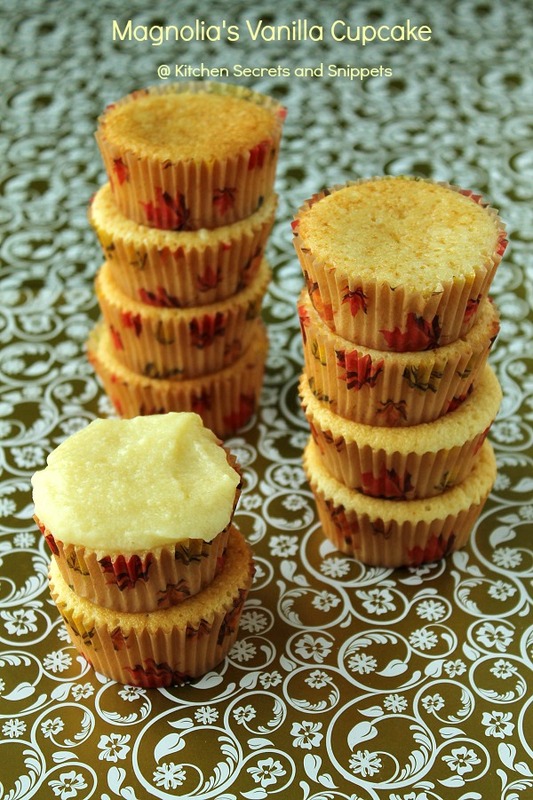 I've always wanted to make some plain good old Vanilla cupcakes which doesn't taste very much eggy when taking a bite. Gosh, u would not believe me if I say there's many, literally many recipes I've tried till date. Finally some of my efforts has been paid off. 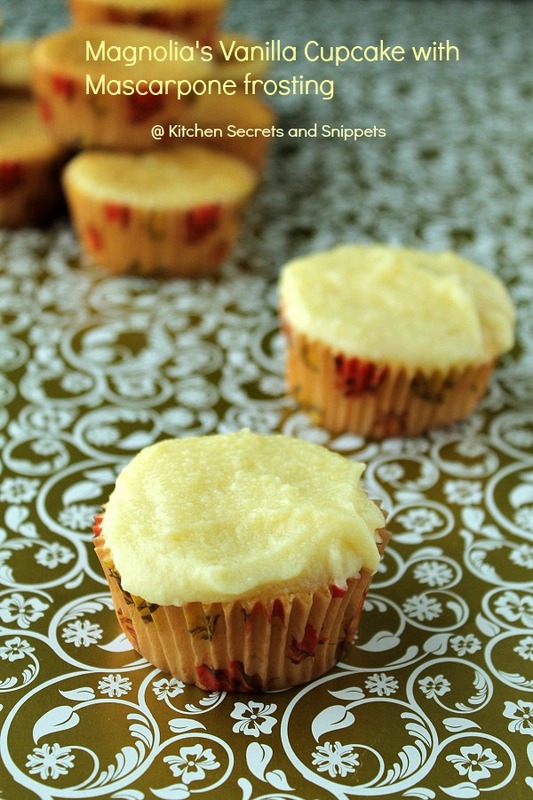 This recipe is surely a keeper, although, I did feel the cupcake was little sweet from the normal one's I've had. So, if u want to change something then that's the quantity of sugar and u may reduce the sugar to 3/4 th cup to achieve the exact sweetness. These cupcakes are fluffy, moist and the crumb is amazing, as u all know, am not a frosting person, I hate frosting, So I just made the frosting for only two of my cupcakes. 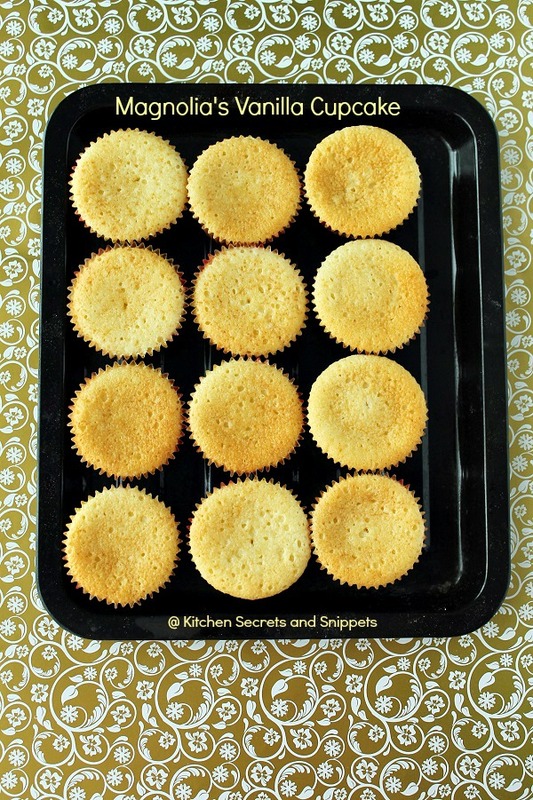 Njoy ppl..
Line the cupcake tins with cupcake liners. Mix the Mascarpone cheese with the icing sugar and Vanilla and fold them until it is thoroughly combined. Slightly beat them until it's fluffy. Spread the icing on the cupcake n Njoy. 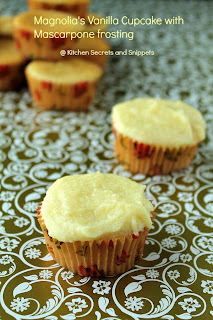 Very attractive and pretty addictive cupcakes,love with a cup of tea rite now. 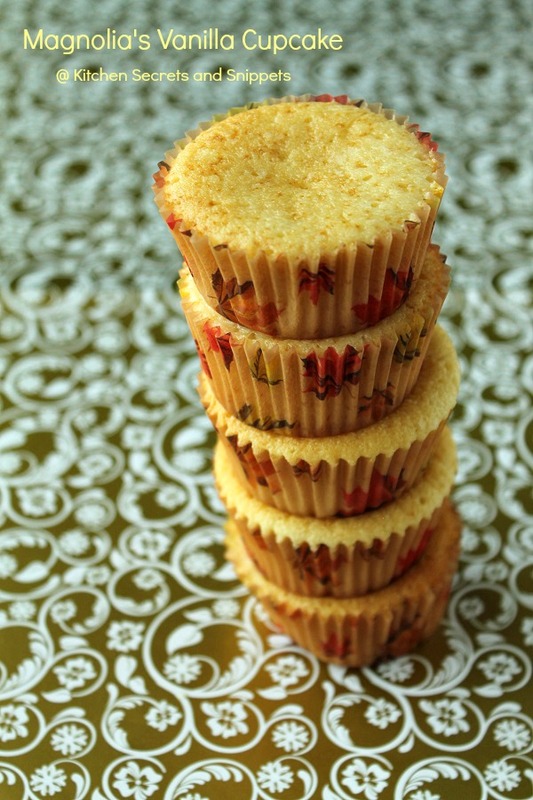 soft and moist vanilla cupcake. Looks delicious. Looks utterly delicious , love the texture.